A great phrase to learn because this can replace ㅋㅋ and ㅎㅎ! I learned this from listening to a recorded radio broadcast on Podbbang, 유인나의 볼륨을 높여요. Although there is a 빵 in the phrase, it has nothing to do with bread. 빵 is more like the sound of something bursting or exploding. 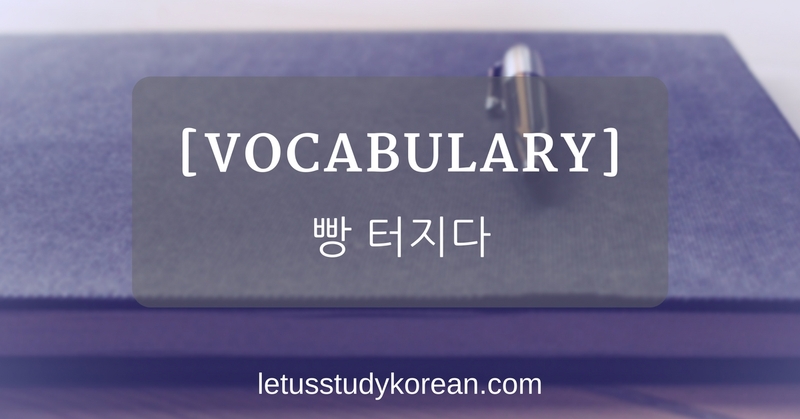 터지다 means to explode or burst out abruptly. So I guess while 빵 터지다 has nothing to do with bread, you can understand it by remembering that it’s like a bread bursting. That’s what you get when you google 빵 터짐, which is the noun form of this phrase. 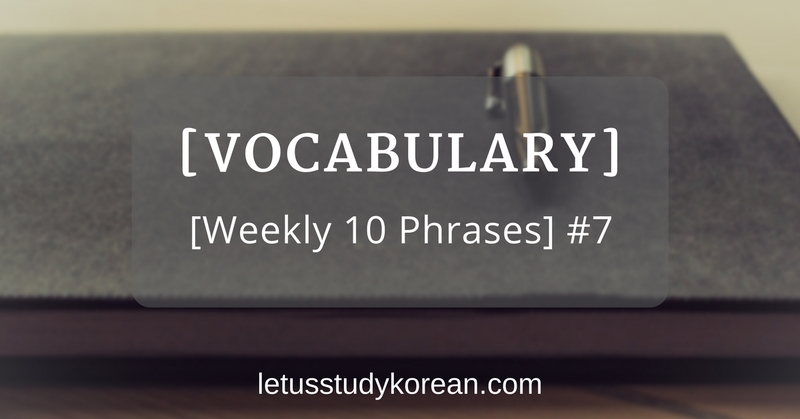 Either way, it’s a slang word and kind of an Internet lingo Koreans use. Sometimes, they would use it to describe screenshots or gifs of celebrities or people bursting out in laughter. 그 연예인은 아주 예쁘고 빵 터져도 그랬어요. That celebrity is really pretty and even when she bursts out in laughter, she’s pretty like that. 내가 중학교 다녔을 때는 소꿉동무가 농담하면 꼭 빵 터졌니 진짜 그리워해. When I was in middle school, I would surely burst out laughing when my childhood friend were to crack a joke; I really miss those times. 아까 지하철을 타면서 개그쇼를 보다가 빵 터졌어. Just now while riding the subway, I was watching a gag show and laughed out loud suddenly.